iPad Mini - Old A5 Processor, No Retina Display, 5MP Camera - worth it? 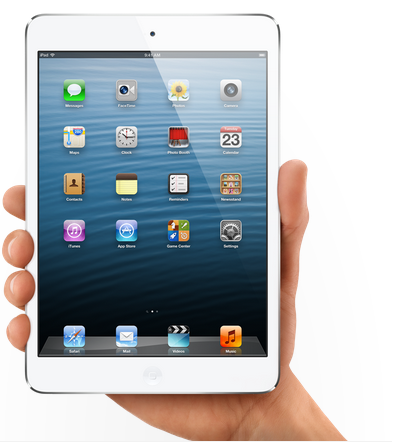 iPad Mini – Old A5 Processor, No Retina Display, 5MP Camera – worth it? So the iPad Mini is out and it has been sold out in Sydney since release last Friday – 2nd of November. I’ve tried various JB HI FI stores and they are also out of stock. The Apple Store on George steet said they will have more stock this week, but this delay has me thinking more about the product. The iPad Mini doesn’t have the retina display in the new iPad, iPhone 5, and even the iPhone 4/4S has had for sometime. Even the latest iPod Touch models have retina display. The iPad Mini has a 5MP camera. The front facing camera for FaceTime is 1.2MP. This is OK for an iPad, but the new iPhone’s have 8MP. The processor is the 2 year old A5 chip that first came with the iPhone 4. With a base model price of $366 AUD (for the 16GB WiFi only version) is this device really worth the money? Maybe this promo video will help Apple enthusiasts decide if this product is right for them. Is the iPad mini really just an iPod Touch XL?